PENTHOUSE AT THE APTHORPAn Urban Miracle, a Rare offering of one of the ONLY one bedroom Penthouses on The Entire Upper West Side in one of the MOST Sought After buildings in the entire world, The Apthorp. Enter the courtyard, and the city falls away; you find yourself in the embrace of a beautiful sheltered park. Take your private elevator bank up to the very top and you are at a very private corridor with access to your new Penthouse. The residence was totally rebuilt, new floors, new ceiling, new overhead lighting, a beautiful Italian designed white Lacquer kitchen with one of the most stunning stone countertops in the city. The Great room is sun-filled with the massive beautiful arched Apthorp windows facing all the way north to the George Washington bridge and South onto the roof top terrace. Daylight streams into this remarkable property from five windows! Southern exposure from your rooftop aerie, and bright northern exposure revealing tremendous light. The Master Bedroom is Large and Grand with a Beautiful Upper West Side View. This chic and stylish property can serve several excellent purposes! 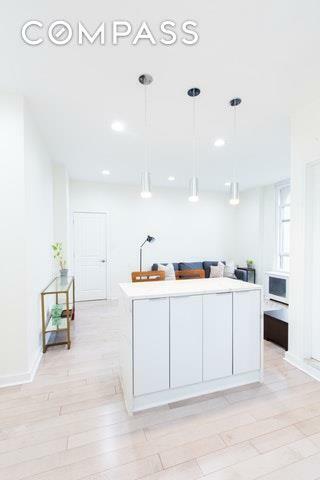 This is the perfect pied-a-terre, a phenomenal upgrade from a studio, a fabulous maids or butlers headquarters if you already reside in the subject property and also an ideal location for University students! Further this is the precise and spot-on property for someone who needs a weekend home in New York City! Today The Apthorp has been reimagined as a luxury condominium, while retaining all of its turn of the century grandeur and glamour. 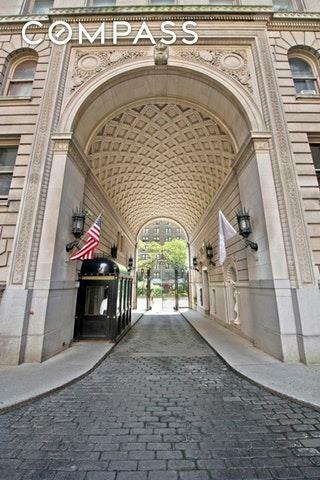 The Apthorp's 6,500 square foot amenities suite includes a private spa and fitness center, separate yoga/exercise studio, two treatment rooms with full baths, steam room, sauna, entertainment suite with bar, catering kitchen, integrated media and billiards, playroom and craft center, and individual storage rooms. 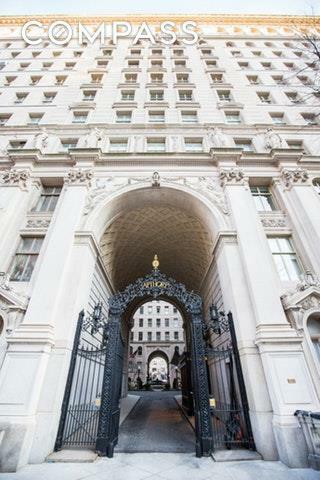 There are two grand gates with doormen, one on the Broadway side and one on the West End Avenue side. Within the gates are 4 attended lobbies, in each corner of the building. 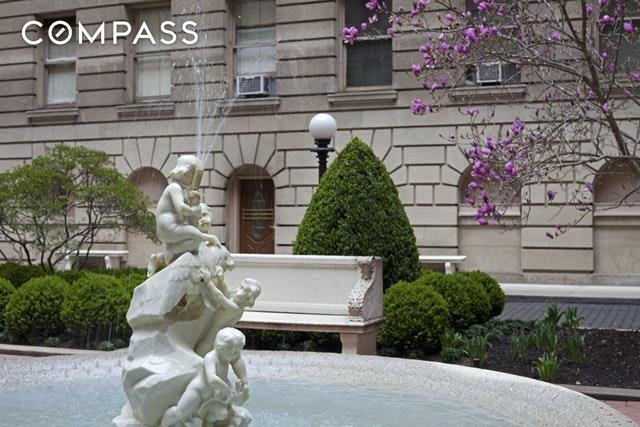 Located just steps to all transportation, the Apthorp is conveniently located by both Central Park & Riverside Park! Citarella, Zabaars, Fairway, and the popular Trader Joes are just a few lovely places within walking distance for every day needs. This much loved Upper West Side neighborhood is home to fine dining and entertainment, Riverside Boat Basin, nearby Columbus Circle with Whole Foods and luxury boutiques to name a few highlights! The building was built on what was called "Bloomingdale Road," now known as Broadway in 1908. Designed by architects Clinton and Russell for William Waldorf Astor, the style is Italian Renaissance Revival and some say was modeled after the Pitti Palace in Florence. This stunning structure occupies the full block between Broadway and West End Avenue and between West 78th and West 79th streets. Arguably one of the most monumental and magnificent buildings in the city, The Apthorp is built around a large interior courtyard that is planted with flowers and greenery surrounding two ornate fountains. Originally meant for horse drawn carriages, today the courtyard is usable by residents to drive up in cars and be dropped off or to drop off luggage. The core is a large courtyard with two marble fountains and a lovely garden In the spring, there are tulips and azaleas, in summer pale-blue hostas and hydrangeas.Please email and/or call for your private appointment today. Listing courtesy of Ante Jakic of Compass.